Every year, a 5 mile stretch of Amsterdam is invaded by a thirsty gaggle of funky brewers and blenders from around the world. Local breweries and craft bars become classrooms with overhead projectors, their buildings filled to standing room only by dedicated beer nerds. They are not only lining up to taste some of the beer communities most sought after liquids... they also gather to hear lectures by microbiologist, attend live lambic blending demonstrations, and hear about the effects of climate change on spontaneous fermentation and cellar practices. Carnivale Brettanomyces is without a doubt the most unique beer "festival" I've attended. I put that word in quotes because to us Americans the idea of a beer festival is fairly specific... an asphalt parking lot or perhaps an grass field, fenced in with various booths and food trucks, and long lines for whatever the hyped beer of the day is. Your usual cast of characters stumble by with their pretzel necklaces and blown out flip flops, and the scene repeats throughout the summer all over the United States. CB is a group effort by a few select organizers and a community of bars, breweries, and restaurants that all host multiple tap takeovers, pairings, lectures, and demonstrations each day. Attendees can plan their weekend around the events they are most interested in and buy tickets (you'd better jump on the Drie Fontienen and De Garde tickets quick) or simply wonder the beautiful streets of Amsterdam and inevitably find your way into a bottle-share or afterparty. Many of my favorite moments were just hanging out between events or having a nice meal with like minded people. I have never been surrounded by such a passionate yet calm and collected group of beer folks. And it was through this event that I was able to get connected with Tom and Wim... the brothers behind Antidoot Wilde Fermenten... and Aiden, the young Swede behind upcoming farmhouse brewery Bretty Fingers. A few hours South of Amsterdam, in the heart of the Flemish countryside, is an authentic Belgian farmhouse brewery belonging to Tom Jacobs. It's on this 2-3 acre property that Tom and his brother, Wim, tend to their small vineyard, orchard, hop yard, and gruit garden. 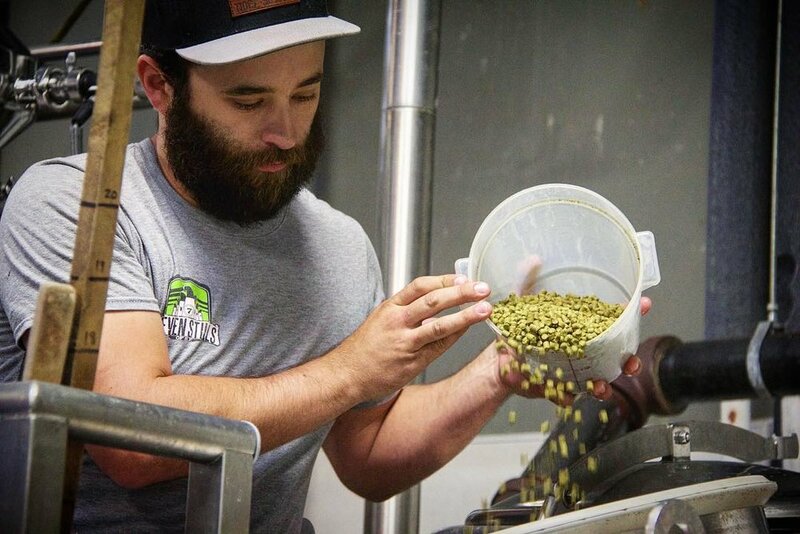 Their recently licensed brewing operation has already begun to grab the attention of Europe's wild beer scene. Despite the rustic setting, making one of the best Oud Bruins I've ever had, and using a coolship to ferment with indigenous cultures... the brothers are not interested in maintaining tradition for tradition's sake. 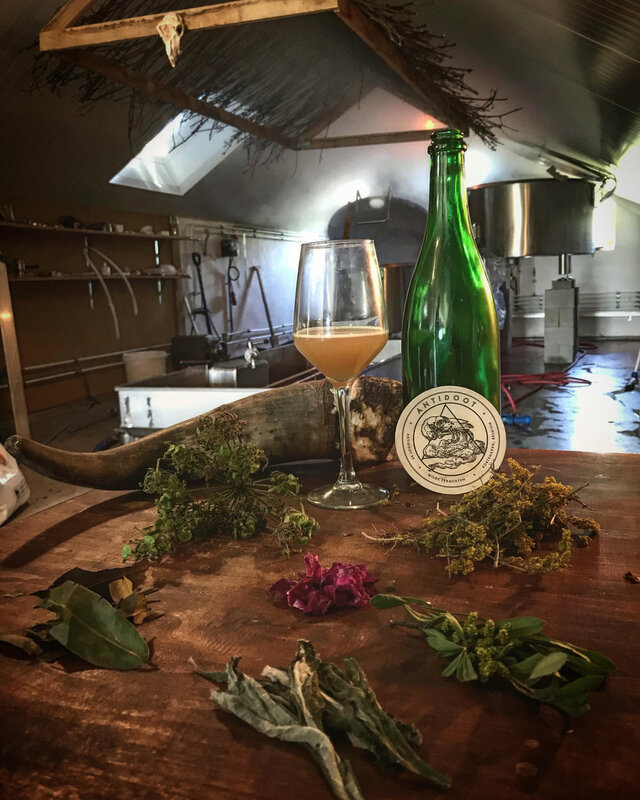 They challenge the ideas put forth by puritanical lambic producers by using their coolship outside the recommended season and they test the palates of hop heads by experimenting with bitter alternatives such as gentian root. Joining me in this educational endeavor was Aiden, a Swedish brewer currently building out his farmhouse operation. I was amazed by his brewing knowledge and palate and we had a blast foraging our meals around the farm and smoking his high-end tobacco around the fire late into the night amongst the grave vines. Aiden, Tamara (my wife and photographer for most of these shots), and I stayed on the farm and joined Tom on various excursions... walking the empty cobblestone streets amongst buildings that once housed heretical religious organizations, hikes through farmland to the local pub that also serves as a museum housing clandestine medical devices, and gathering pounds and pounds of cherries from an abandoned orchard. Half the cherries were set aside for kriek, while the other half were pressed and are currently fermenting with only the yeast on their skin. Our recipe concept was a lambic-inspired gruit ale using a small amount of aged hops and herbs/spices foraged from several countries. An "International Gruit Ale" (IGA). With representatives from the U.S., Beglium, Sweden, Netherlands, and Germany it wasn't hard to gather the required ingredients. The coolship at Antidoot was used to steep the herbs and introduce a bit of wild yeast and bacteria. A house culture was pitched and the beer now sits in oak barrels until further notice. Several additional guests (Raf from Bokkereyder, Dimitri from Brussels Beer Project, and many more) joined us to infuse the herbs in the coolship and a great final dinner on the farm. This week the dates for Carnivale Brettanomyces 2019 were announced. Looking back on the incredible experiences had... I would be crazy to not go back. I'd better start brewing.